Another Kijiji listing from last week. Not sure of the year or price but I recall that it was quite reasonable. 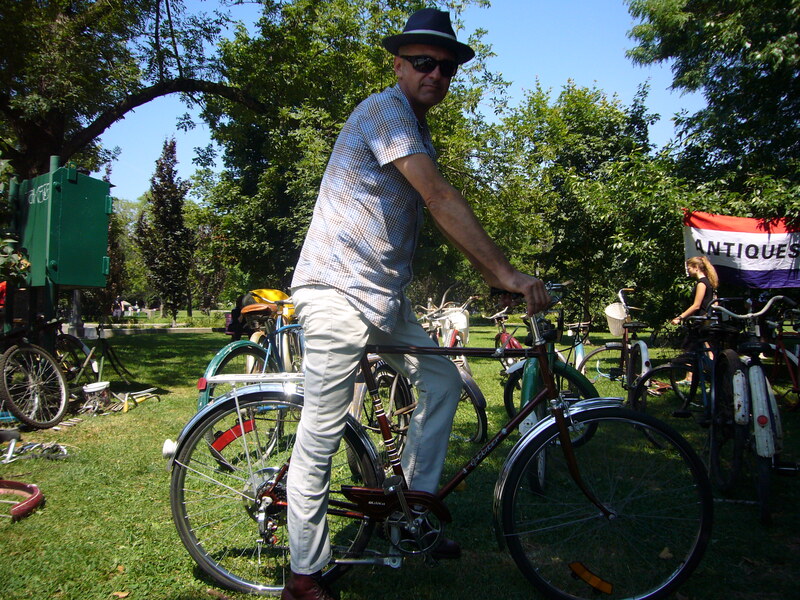 A recent Kijiji posting for a vintage BSA 3 speed. 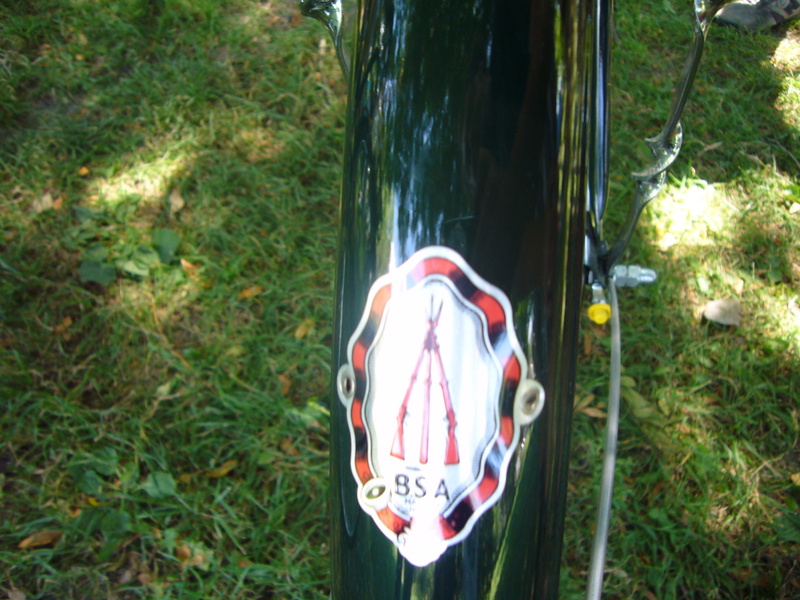 I’m always on the look out for a nice BSA but this one’s priced at $1500.00! The price and the after market non period parts makes this one a pass for me. As best as I can figure, 40 Shillings and 9 Pence for the AW hub works out to about $63.00 (US) in today’s money or $85.00 Canadian. I was able to pick up 3 NOS hub kits a while back for a good price. Another submission from Diarmuid C.
Currently offered on Toronto Kijiji @ $500.00 OBO. 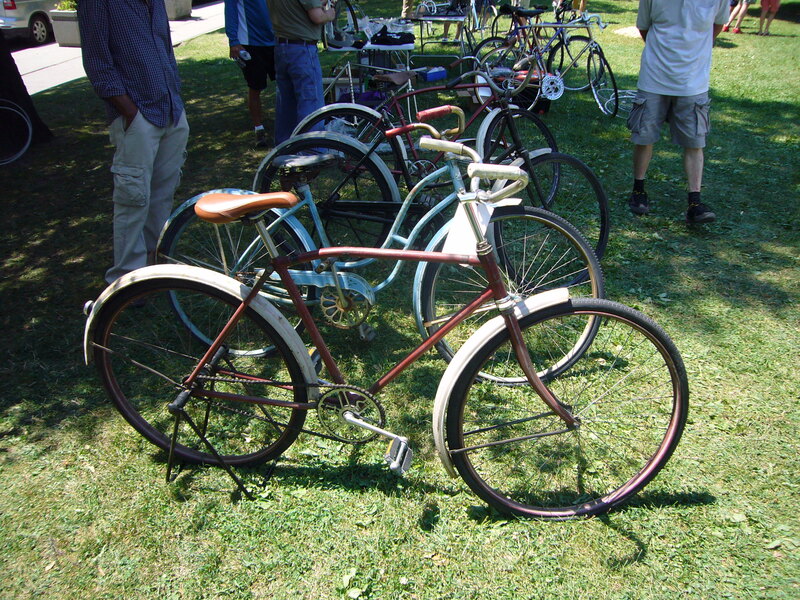 A 1952 Rudge 3 speed. “Britain’s Best Bicycle”. Another current Toronto, Kijiji listing. 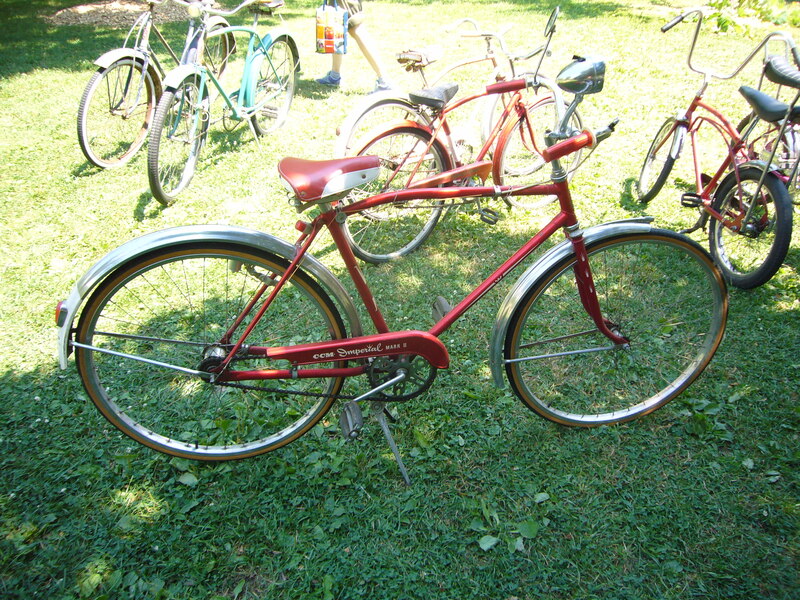 A vintage Triumph 3 speed listed at $100.00. 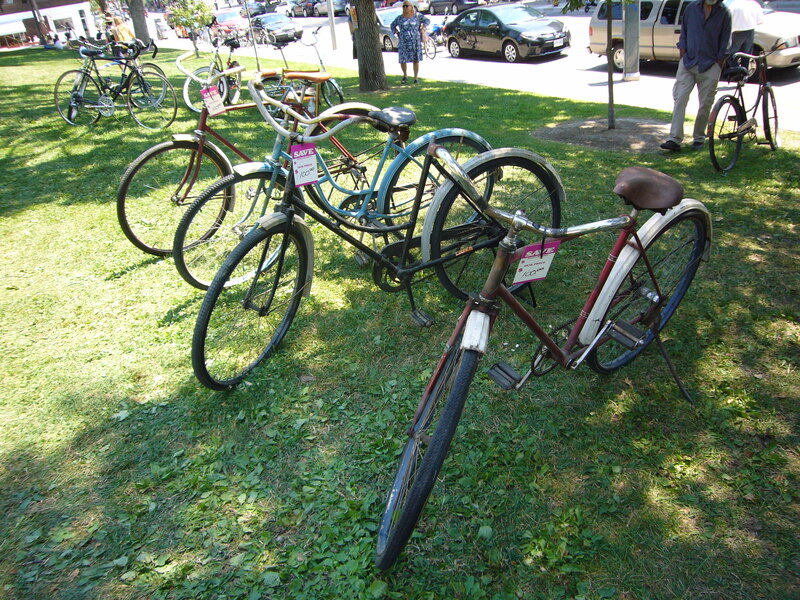 A recent Kijiji listing for an early 60’s Raleigh Laurentian. These were specific models made for the Canadian market. A good looking bike at a reasonable $135.00 asking price. The chain ring crank needs to be straightened and I’ll repaint later. Saddle is OK for now but will look for a vintage leather one. I’ve also replaced both calipers with “newer” versions to do away with the proprietary earlier ones. Took it for a shakedown ride today and have a few adjustments to make. Another Toronto Kijiji posting. 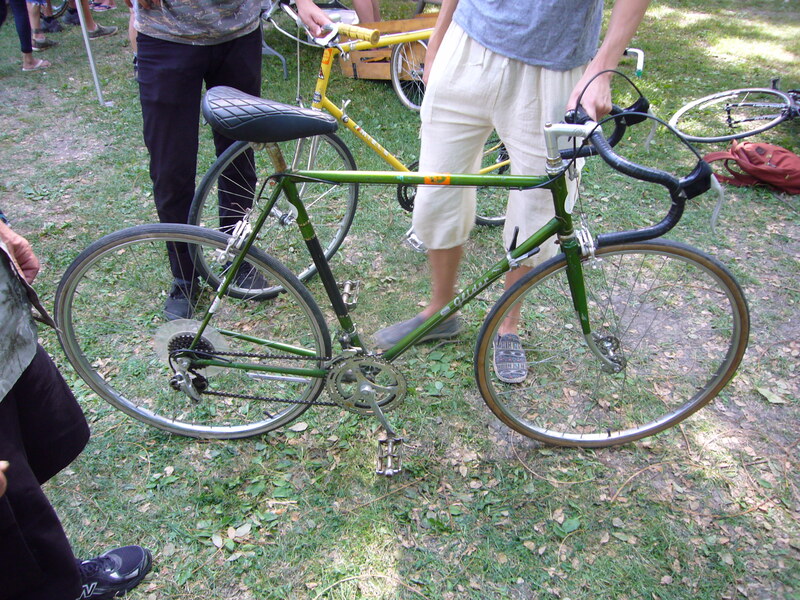 A vintage Robin Hood 3 speed, year unknown but I suspect early 1960’s. This one’s located at College and Bathurst and reasonably priced at $139.00. Looking again, it looks like the front fork might be bent. Blog reader Steve T. has sent some photos of his new purchase. This fellow is in Oakville and does good work at an affordable price. Sun C18 rims with stainless steel straight spokes. 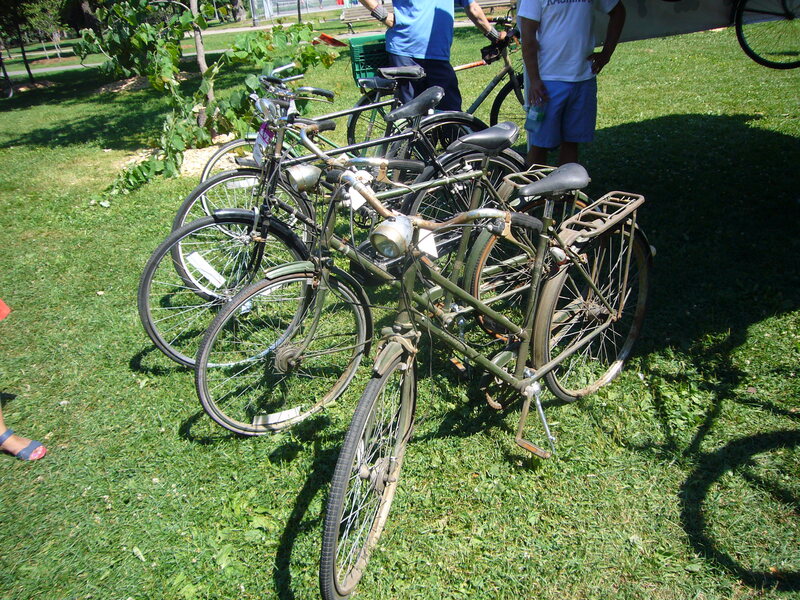 Here’s a Raleigh built Supercycle for sale on Kijiji Toronto. 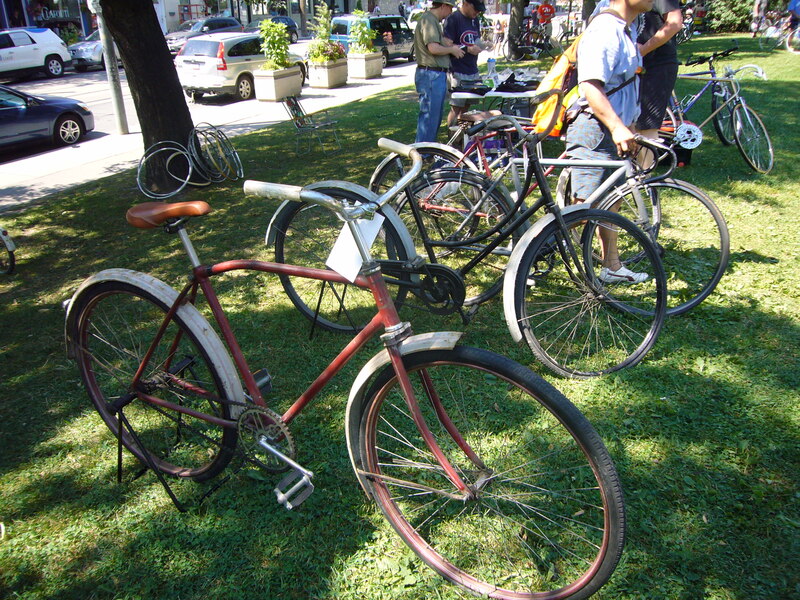 A 3 speed hub with a coaster brake and caliper brakes as well. Priced at $225.00. .
Another Kijiji posting in Toronto. A vintage Ladies DL-1 Tourist from the late 1930’s. Seller is asking a hefty $1300.00 but given the age, condition and overall completeness the price may not be that out of line. The Quadrant Shifter was last used in 1938 along with the K hub. 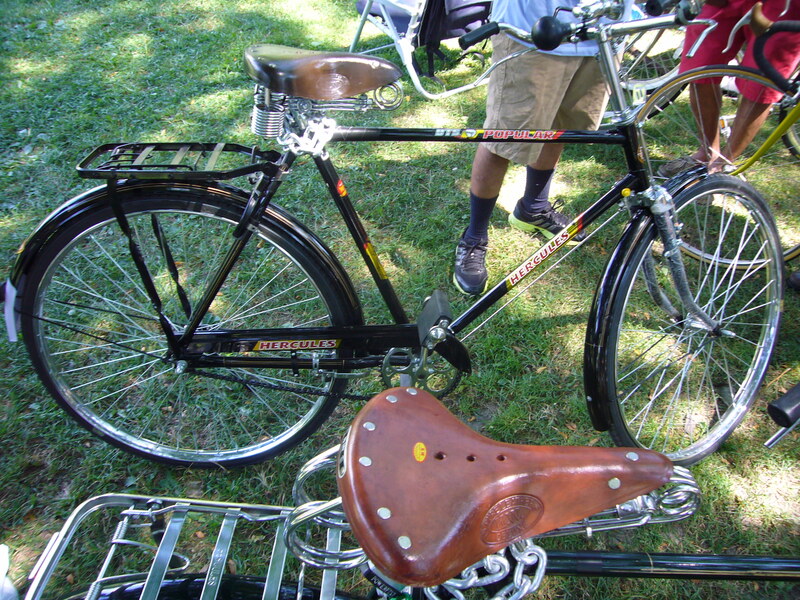 A period Wrights composite saddle. The paint and rims look good as well. 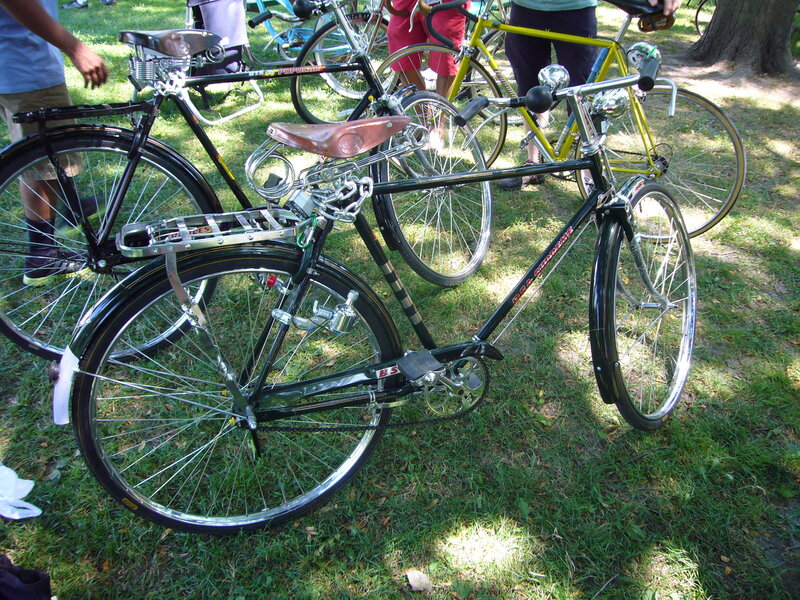 Steve T. brought this bike to my attention. 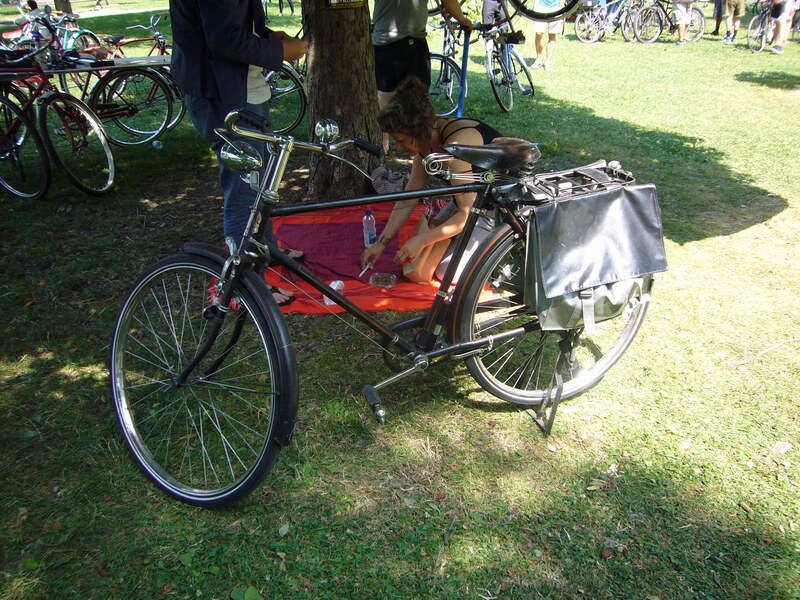 Currently listed on Kijiji Toronto, an American built bike with British components and a Canadian flag as an emblem…. Mohawk bicycles appear to have been built by the H.P. Snyder Company out of Little Falls, New York. This bike sports a Canadian flag on the front and I assume it was packaged as a line for a small Hardware Store or a Department Store chain. The one piece crank is a clue to it’s North American origin. 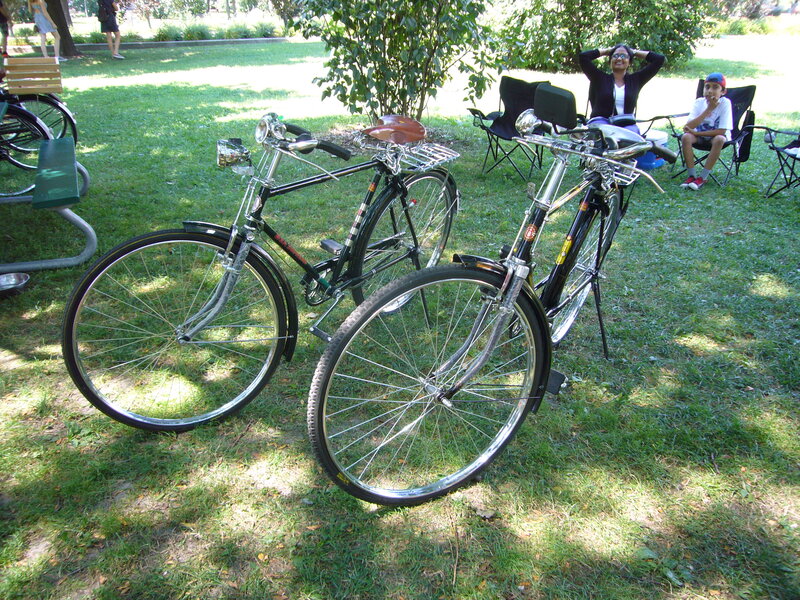 Two more Raleigh built Eatond Gliders for sale on Kijiji Toronto. 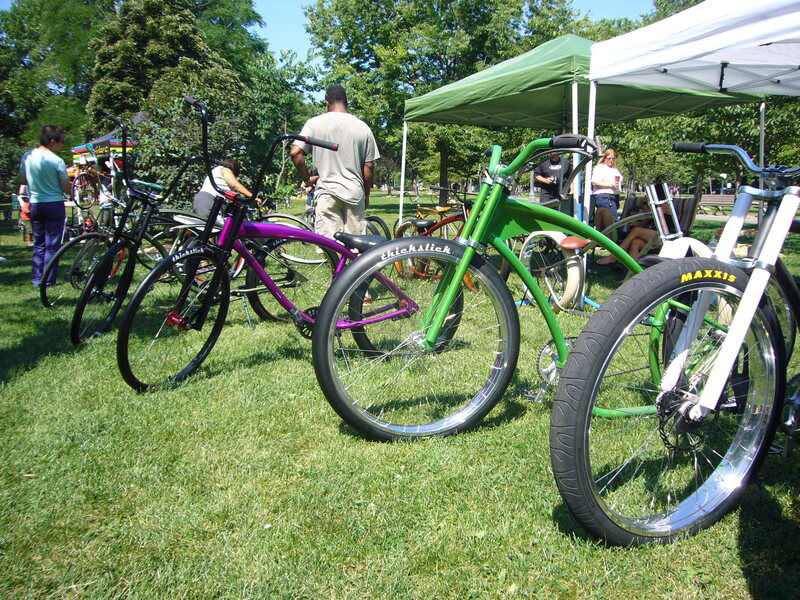 The green one is a tall single speed but a good candidate for a 3 speed conversion. Paul on a Raleigh Tourist in Nassau 1965. This one’s for sale on Kijiji Toronto @ $350.00 or best offer. Very clean and original. This is one of the nicest I’ve seen. 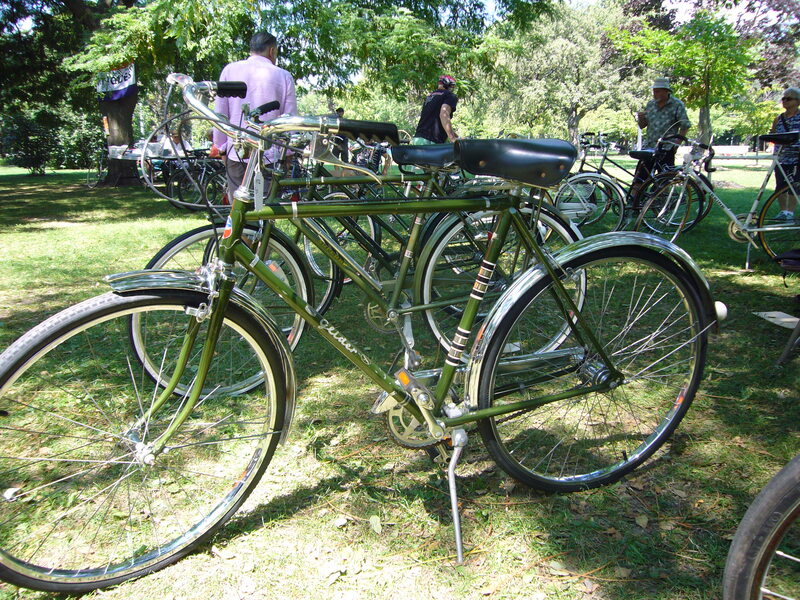 AMF, American Machine and Foundry were distributors of British built Hercules bicycles in the 1960’s. A small AMF decal was applied to the chaincase. This could be a re-branded Robin Hood. Union Cycle Company. Currently listed on Kijiji Toronto for $300.00. It is a tall frame, Precision Engineered and Safety Tested! 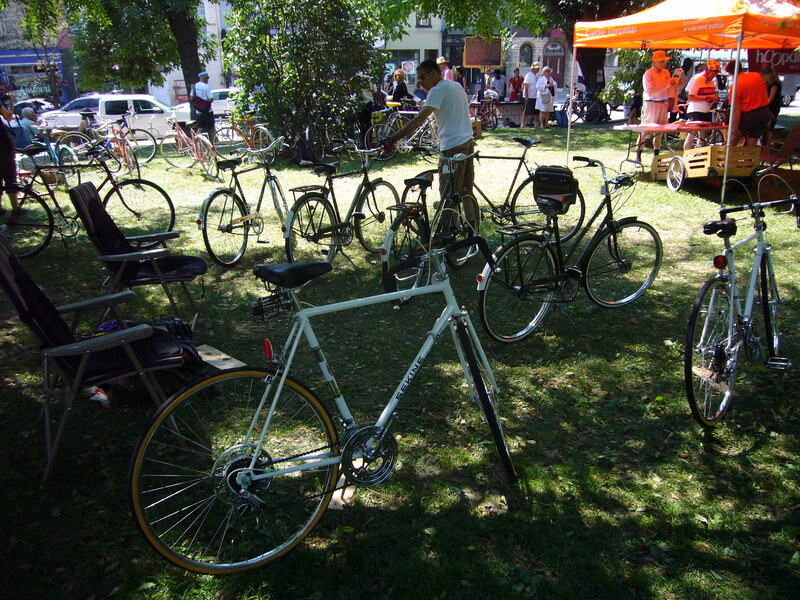 Union Cycle is a bit of a mystery brand with bikes being built in Japan, Germany, Holland and England. Below, a nice Japanese version. You can see how closely they were copying an English bike. I picked up 3 of these last weekend, 1953 vintage. This one has become my main everyday bike. The saddle bags are very handy for visits to the grocery or beer store. The mattress saddle was badly split so it’s been replaced with an old Wright’s composite saddle. The paint is rough on this one so it’s a good working bike. 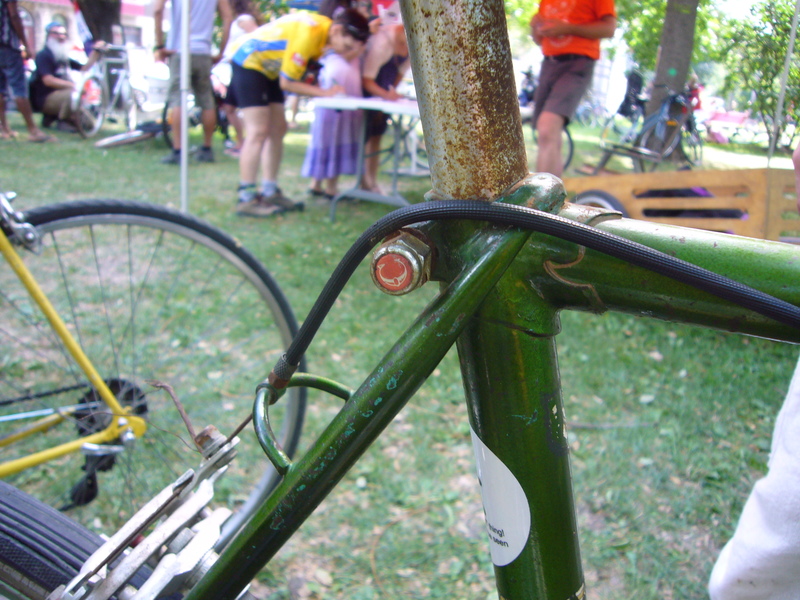 I’m not sure what bike these bars and stem came from originally. I bought them from George at Parts Unknown, but I quite like them. 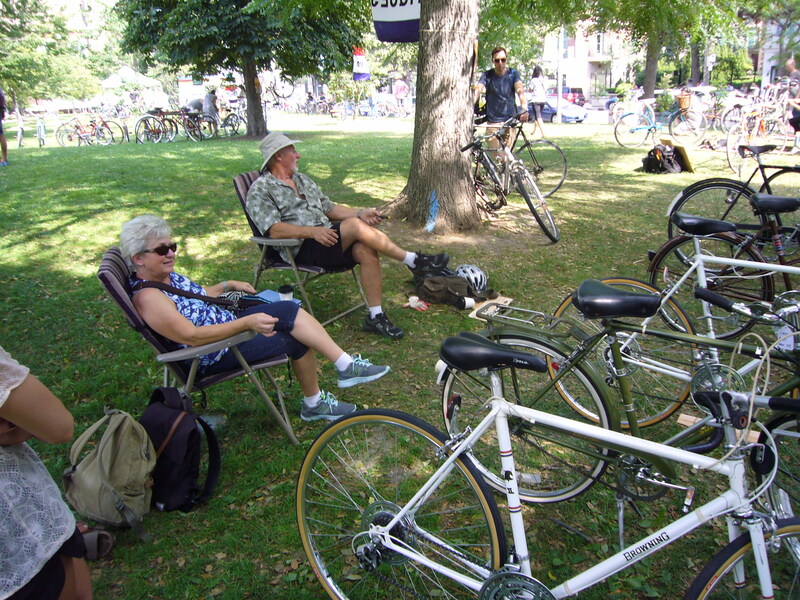 Record breaking high temperatures here in Toronto have extended the riding season. 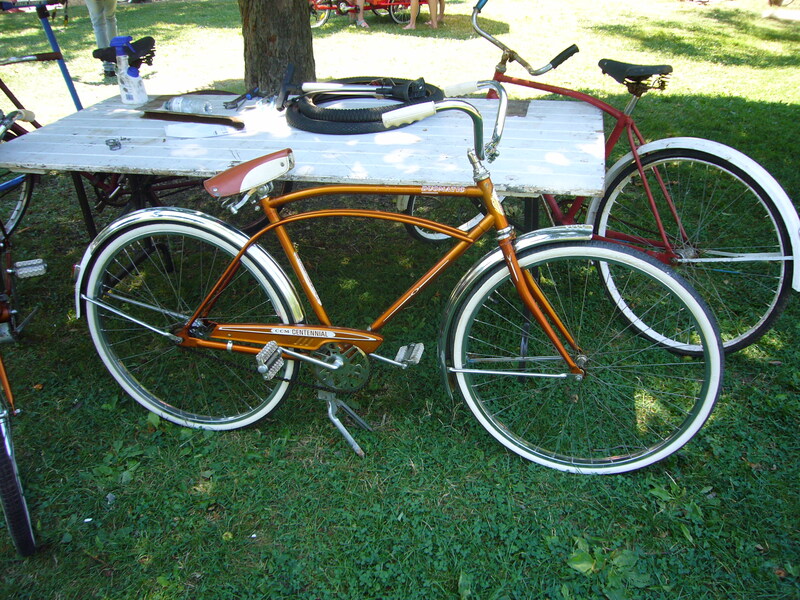 This 1972 Eatons Glider started off as a 3 speed but now sports a 1967/68 Torpedo 2 speed Kick Back hub with a coaster brake. I’ve added a caliper up front for safety. I’ve inverted some shortened north road bars and a vintage Speedic saddle. The tires are inexpensive Chao Yang brand from China supplied by George at Parkdale bikes. All in all an interesting ride but I do prefer a 3 speed. Also on Ebay, the seller is asking $500.00 for this one! This one is currently on Ebay @ $450.00.